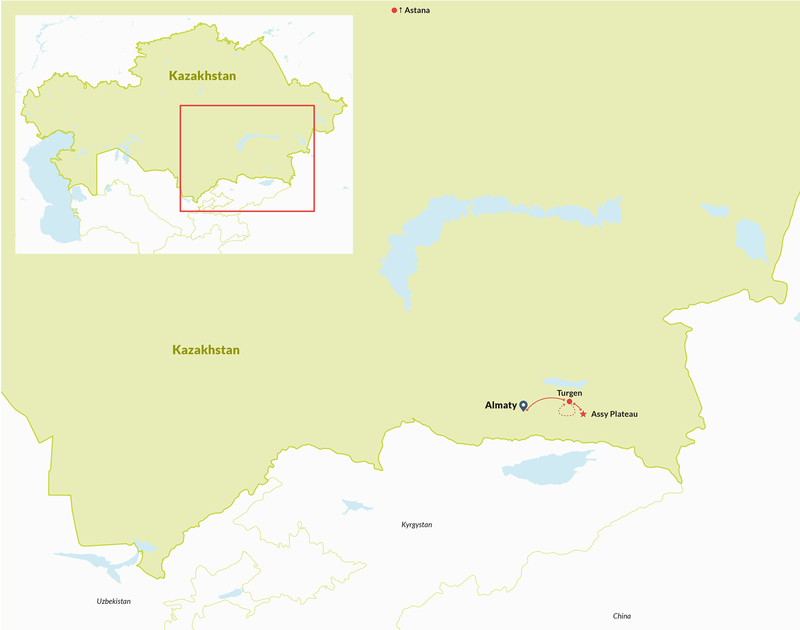 Starting in Almaty you will move to a basecamp in the Turgen Valley on day two. En route visiting a new history museum about the Golden Man, a famous warrior of the Sakh period excavated in this region. 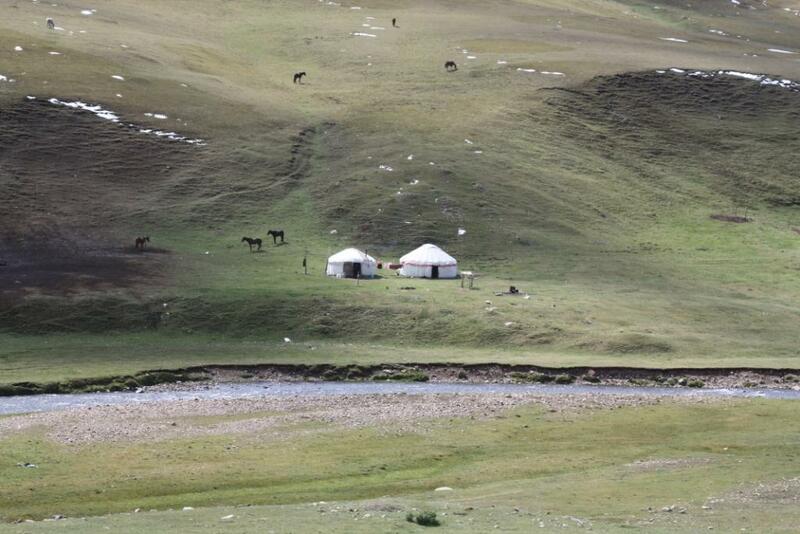 Before the actual four-day trekking you will visit by 4WD the Assy Plateau, where semi-nomads dwell in summer. Returning to basecamp the actual trek will start, and after four pretty streneous days and one more night in the basecamp, you will be transfered back to your hotel in Almaty. 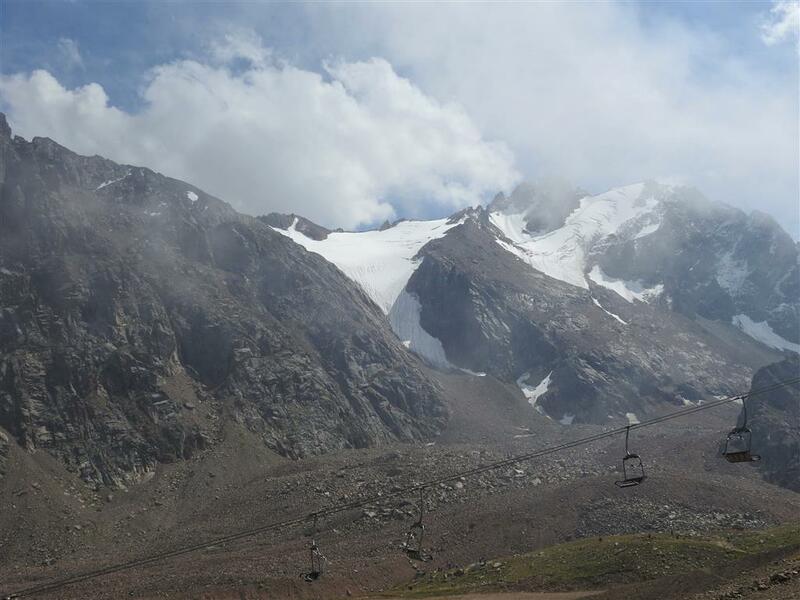 The tour ends with one more day of excursions in and nearby Almaty, and your transfer at night to the airport. You arrive in Almaty, will be awaited at the aiport and accommodated in a hotel. 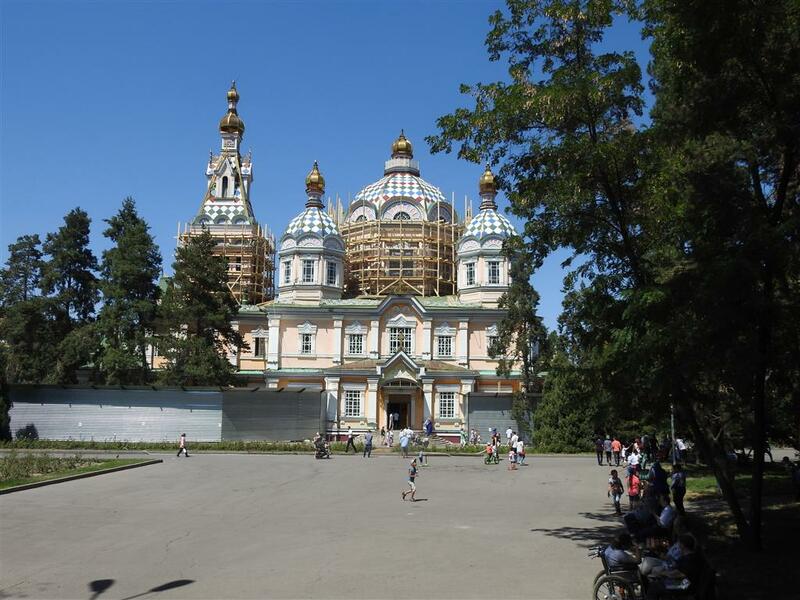 In the afternoon you will acquaint yourself with Almaty by means of a 3-hour guided city excursion, visiting Park Panfilov, the Central State Museum a.o. Located against the backdrop of the high mountains with eternal snow, Almaty is situated wonderfully! 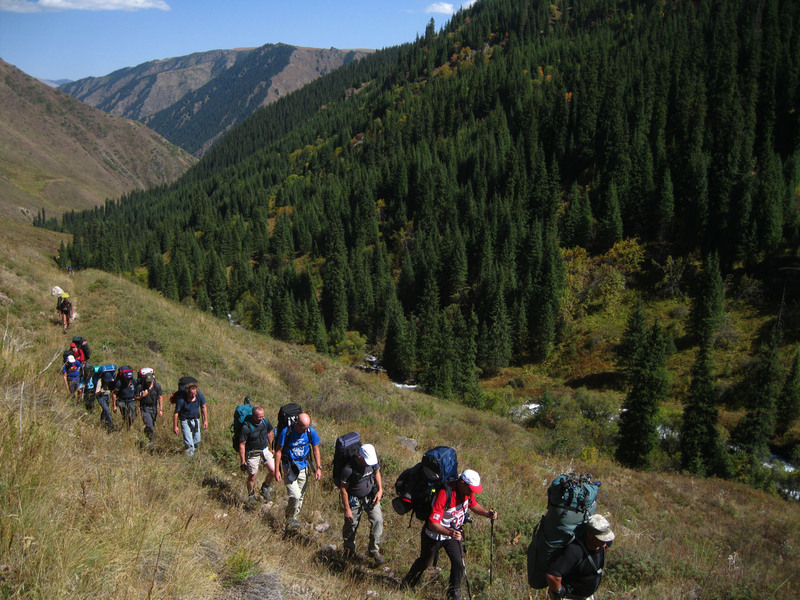 By car or minibus you will be transferd to a basecamp in the Turgen Valley (at 1,600 meters altitude) at some 90 kms from Almaty. On the way you’ll visit the Golden Man Museum. In the basecamp you get to know the staff for the next days, explore the surroundings, and have dinner. A varying day is awaiting you. After breakfast you will climb up the gorge by 4WD to reach the Assy Plateau. These are vast, high altitude grasslands where in summer the Kazakh nomads live in their yurts with their familys and graze their cattle. You will visit them, as well as enjoy excursions to places with ancient rock carvings, burial mounds from the Sakh Period and even a ‘modern’ Soviet Space Observatorium! Afterwards the 4WD brings you back to the Turgen basecamp for dinner and the overnight. The first of four trekking days. The start seems modest with a 3.5 hours trek. However, from experience we can tell you that trekkings in countries of the former Sovjetunion are never to be taken lightly! On the way you will enjoy the 70 meter high Kairak waterfalls. Camp for the night at 2,100 meters altitude. 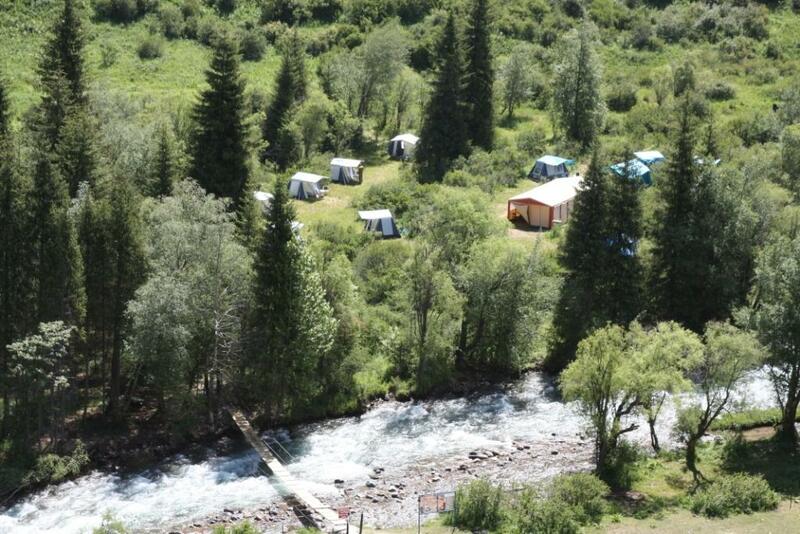 After breakfast and breaking up the campsite you will continue to trek upwards, to the origin of the Temir-Tas river. 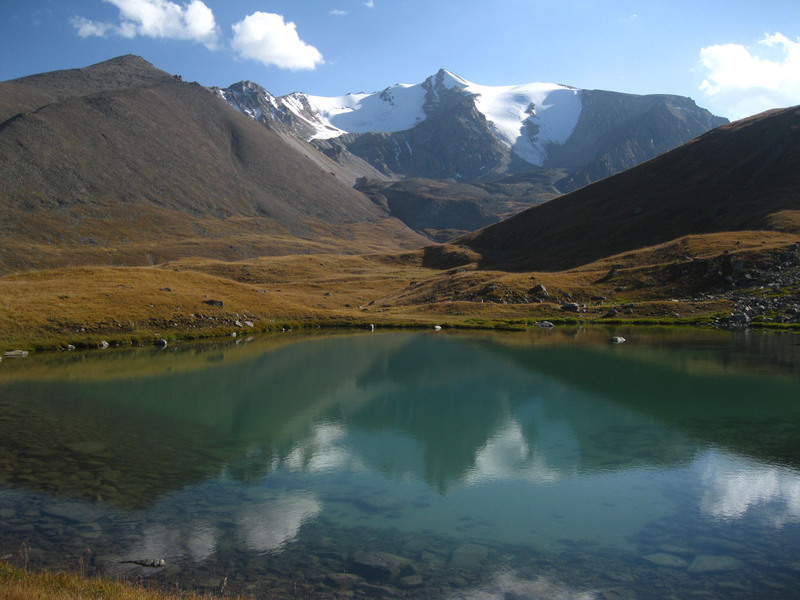 On the way you can enjoy lovely views of high altitude grasslands and the snow-capped mountains of the Zailiskiy Alatau mountains range. In addition, in this remote area, you’ll wittness untouched (!) ancient burial mounds from the mystical Sakh period (approx. 600 B.C). Dinner and overnight in tents at the foot of the Glaciological Glacier at 3,200 meters. Again a say of serious trekking, first across a pass-without-name, then onwards the origin of the Turgen river. 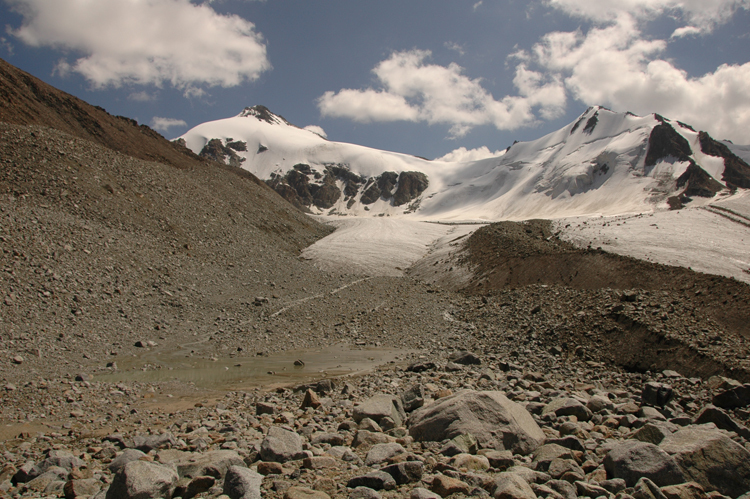 You’ll have good views at one of the biggest glaciers of this mountain range and at many peaks from 4,000 meter and up. 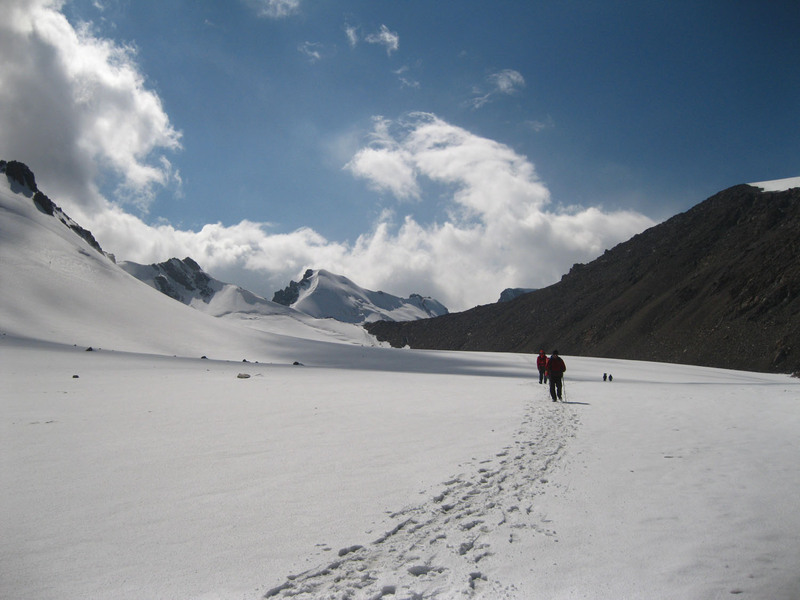 Today, at the last trekking day, you will be rewarded for the ‘gained altitude’ with a long descend to the Turgen Basecamp, along the river Turgen until the congruence with the river Kishi Turgen. 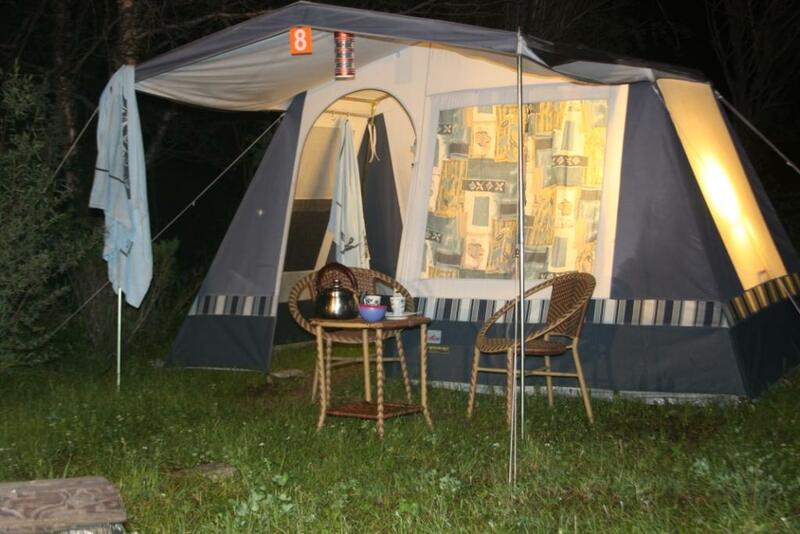 In the basecamp you’ll enjoy dinner and spend a last night. In the morning you’ll be transfered back to Almaty, to your hotel, and can enjoy leisure time for the rest of the day in the city. The Medeo skating rink is situated at half an hour drive from Almaty Center, at an altitude of almost 1,700 meter. With a guide you’ll visit the rink and surroundings, during a half-day excursion. You will be transfered to Almaty Airport at night or in the early morning, where the international flights as a rule take off early in the morning. The end of your journey, we hope it has been a most pleasant one! 11 days incl. international flights.